SeaWorld Orlando Christmas Celebration. Image courtesy of SeaWorld Orlando. SeaWorld Orlando has announced that its wildly popular Christmas Celebration is returning on November 17 and will be offered on select dates through December 31. Over 3 million lights will deck the halls during the festive Christmas event, which will also include scrumptious food, exciting live shows, and joyful entertainment. • New for 2018 – Dine with Santa at Shamu Stadium – Meet Santa Claus during this all-new dining experience. Traditional holiday favorites and delicious desserts will be served. Also, guests will receive reserved seating to Winter Wonderland on Ice. Prices start at $40 and can be purchased online in advance at SeaWorldOrlando.com. • Winter Wonderland on Ice – A sea of sparkling trees and towering fountains dancing in the background come together to create a show-stopping ice skating extravaganza for the holidays that the entire family will enjoy. 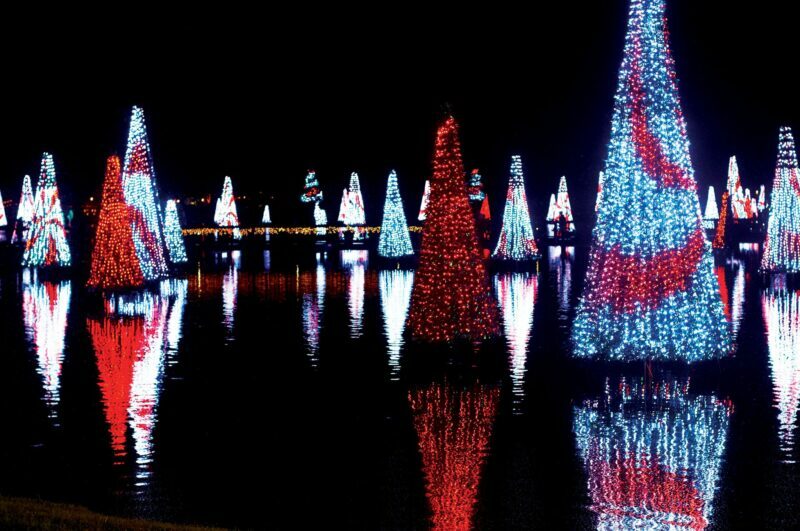 • Shamu Christmas Miracles – Shamu Stadium will be illuminated with dazzling lights and glowing candles while guests can celebrate the holiday season alongside majestic orcas. • Rudolph’s ChristmasTown – Returning for another year of festive fun, guests can immerse themselves into the story of Rudolph the Red-Nosed Reindeer at Rudolph’s ChristmasTown. Guests will also have the opportunity to meet their favorite characters: Rudolph, Clarice, Bumble and Yukon Cornelius. • The Christmas Market – Nestled along the park’s Bayside Pathway, The Christmas Market features festive entertainment and delicious culinary delights. Guests can relax near the warm glow of the fire pit with a holiday cocktail while experiencing a wonderful view of the vibrant Sea of Trees. SeaWorld Orlando Winter Wonderland. Image courtesy of SeaWorld Orlando. • Clyde & Seamore’s Countdown to Christmas – A returning classic, Sea Lion & Otter Stadium celebrates the season with a hilarious Christmas comedy show. Clyde and Seamore, along with a few mischievous otters, a comical elf, and even a jolly walrus, invite guests to their fun-filled holiday celebration. • Pets Ahoy Christmas – Enjoy a special Christmas version of this side-splitting show with surprise twists, and a cast of unlikely characters that will have the whole family laughing from beginning to end. • Sea of Trees – Take a stroll through a wintery, watery wonderland as they are immersed in a sea of glistening holiday trees that sparkle to music as they light up the water. Dazzling images come to life on over 100 trees, including a giant glistening centerpiece that towers 70-feet above the water. SeaWorld Orlando Sea of Trees. Image courtesy of SeaWorld Orlando. • New Year’s Eve at SeaWorld Orlando – Park guests can ring in the New Year at SeaWorld Orlando on December 31 as vibrant fireworks fill the night sky at midnight. • Returning in 2019: Three Kings Celebration – January 1-6 – Families are invited to keep the spirit of the season burning bright by commemorating the arrival of the Three Wise Men with authentic festive cuisine and celebratory experiences held in honor of the cherished tradition of Latin cultures. 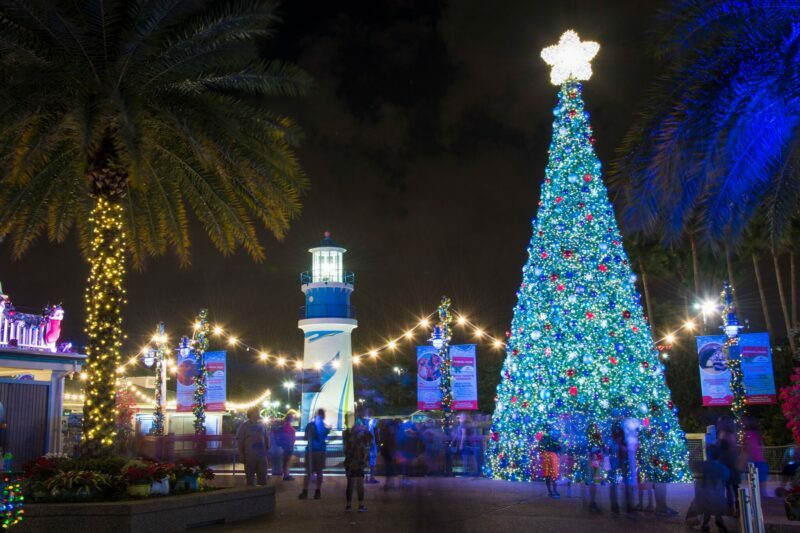 SeaWorld Orlando’s Annual Pass is the best way to experience SeaWorld’s Christmas Celebration and New Year’s with family and friends. For a limited time, Florida residents can become a Pass Member for as low as $9.99 per month, offer ends Nov. 30. Pass Members receive park benefits and rewards, including priority access to new attractions, in-park discounts and much more. Visit SeaWorldOrlando.com for more information. Richard Speight, Jr. Back in ‘Supernatural’ Director’s Chair for Season 14, Episode 6!